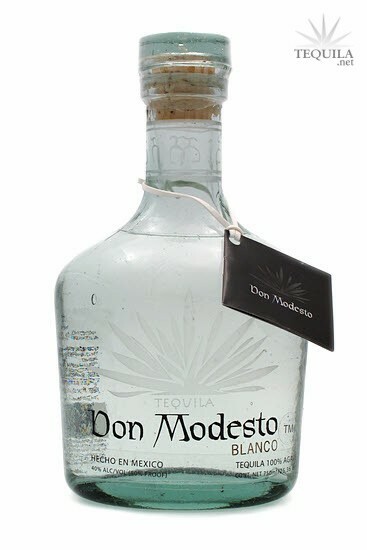 Don Modesto Tequila Blanco is made from 100% Weber Blue Agave, and twice distilled through a unique system known as "la tirade de la cabeza y cola" which means the removal of the "head" and the "tail". The "head" contains a volume of Ethyl Alcohol, which is the agent in fermented and distilled liquors. The valve is opened to dispense the Ethyl Alcohol and any other gases used for the fermentation process. Then, they remove the "tail" which is diluted Tequila left towards the very end of the distillation process. This unique process gives Don Modesto Tequila an exquisitely smooth taste and finish. Each bottle is hand-blown by artisans in Jalisco, Mexico. 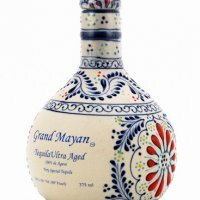 Great Tequila in a heavy etched bottle with a glass topper / real cork. Taste : Slightly thin in front, then a smooth buttery & cooked agave in back. Body: Great balance not to much or to little heat,grass or earthy cooked agave. Finish: Very little heat with a creamy agave finish in back of the throat. Highly recommend this wonderful Blanco, fairly new brand but it has a lot of family history in the making. Don Modesto is quite a treat! As far as being one of the newer kids on the block, this one does stand out. Aroma: A grassy agave aroma. Initial Taste: Upon entry, a thin mouth feel. Sweet and slightly fruity (berry). No bitterness. Body: A nicely balanced agave body with compliments of fruit and slight earth. Finish: A lightly heated finish with a nice agave lingering.